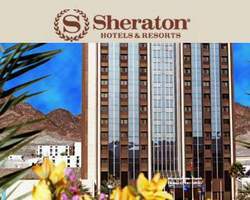 The tallest building in all of Oman, Sheraton Oman Hotel is an architectural landmark. Graced with landscaped gardens, Sheraton Hotel Ruwi is found in the heart of the Ruwi business district. Sheraton Hotel Ruwi've got the perfect place to get together with friends or co-workers and enjoy a great meal.